Edibility: The flowers of this plant are edible. The seeds, and perhaps other parts, of this plants are poisonous. 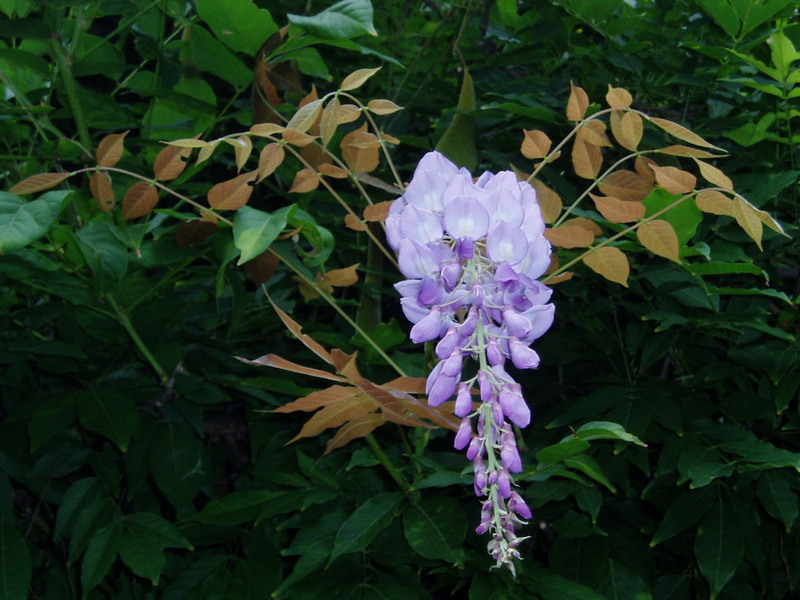 Poisonous: Wisteria seeds are very poisonous. According to the Peterson Edible Wild Plants guide, 2 seeds are enough to harm a child.